Al Trebilcock purchased Engel Music in 1956, and with the help of sons Chuck and Don grew the Aberdeen business into a musician’s paradise. Pianos and church organs were important in this growth, and the record section was a huge part of Engel Music’s early success. The main floor was dominated by albums and 45-rpm vinyl discs. Originally a Gibson guitar franchise, Engel Music brought in Fender equipment when the competition dropped their electronic instruments. The Fender name attracted musicians from far away to the store. More than a hundred guitars were displayed at one time, according to Gordy Zens, long-time teacher at the store. Zens, a legendary player, has taught guitar lessons since 1964. The store also sold televisions, stereos and radios. 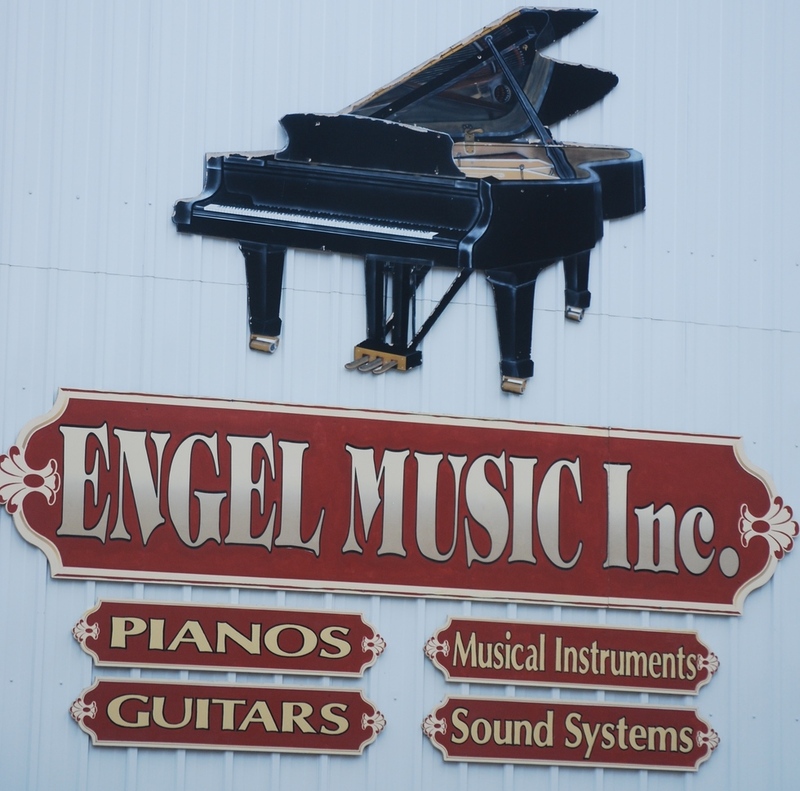 Now a Yamaha piano dealer, Engel has sold virtually every brand of keyboard through the years. Wurlitzer, Hammond, Baldwin, Kawai and Kimball models were displayed. The store also sold band and orchestra instruments. Taylor guitars and Peavey sound gear have been popular sales items. Many national musicians have checked out the inventory. Don Trebilcock, now 77, says most of them “were incognito.” One who identified himself right away was Neil Diamond. In the early ‘70s, Diamond and his band were scheduled for a winter concert at the Aberdeen Civic Center. Cold weather forced the equipment plane to bypass Aberdeen, so the Trebilcock boys furnished everything for the concert – backline and the house sound system. The KOMA bands loved stopping to browse and visit. Chuck Trebilcock, now 81, also remembers when the Lennon Sisters from the Lawrence Welk Show signed autographs in the store. “The crowd was so packed against our outside windows that the glass was bending. We thought it was going to shatter,” he says. Don loves seeing former Aberdeen musicians show up at the store, and some ask “if we have sold their old guitar yet.” Many trades make for many discussions. The South Dakota Rock and Roll Music Association is proud to induct Engel Music into its Hall of Fame.